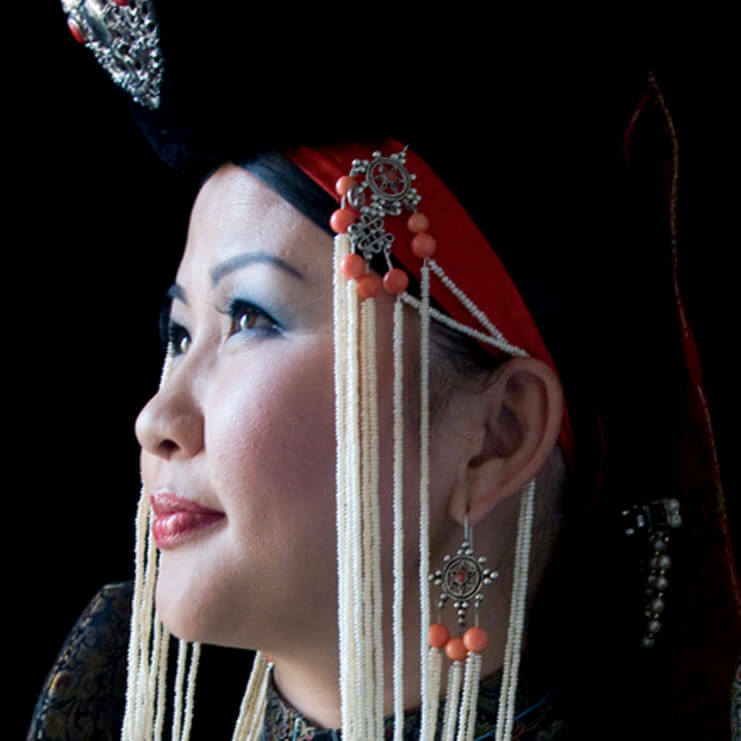 Byambajargal Gombodorj, from Mongolia brings her mastery of long song (urtyn duu), an extraordinary form of acoustic legerdemain whose name does not signify that the songs are long, but that each syllable of text is extended for a long duration. Gombodorj Byambajargal is Mongolian state leading artiste from Ulaanbaatar, member of Tumen Ekh dance ensemble. She has performed extensively around the world in films by Yann Arthus-Bertrand songs composed by Armand Amar, has performed at Theatre de la Ville, Paris on many occasions. Symbol quasi mythological of Central Asia, between civilisation and religions, her voice evoques grand spaces of Mongolia.